...and that is adorable to me and I want it. But I have no idea how to make it angry! Do any of you guys know? 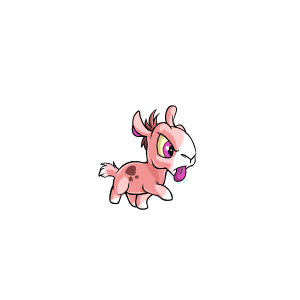 Re: How do you make your neopet angry? I don't think it can be permanently like that, on your lookup that is. It can either be sad or happy as far as I know with angry poses only showing up in the battledome or when you give it something it doesn't like. They may be some other instances around the site, but that's all I can think of off the top of me head. It's a shame because I love a lot of angry poses. Hmmm. Someone suggested feeding it poisonous jelly, which I'm going to do once his bloated state has worn off. In the mean time, I've sent in a question about it to the editorial - here's hoping! I think poisonous jelly would just make him sick, not angry (and sick UC pets don't use the sick pose).